Mum of Five Staying Sane: Lego Disney minifigures have arrived in the shops. The newest Lego collection with 18 minifigures to collect. Lego Disney minifigures have arrived in the shops. The newest Lego collection with 18 minifigures to collect. We have waited a long time for this collection to arrive. 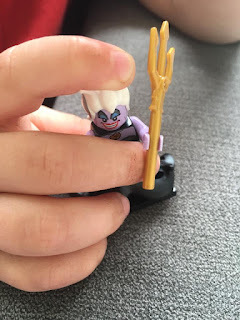 We are big minifigure fans and are always watching out for the new collections to come out. 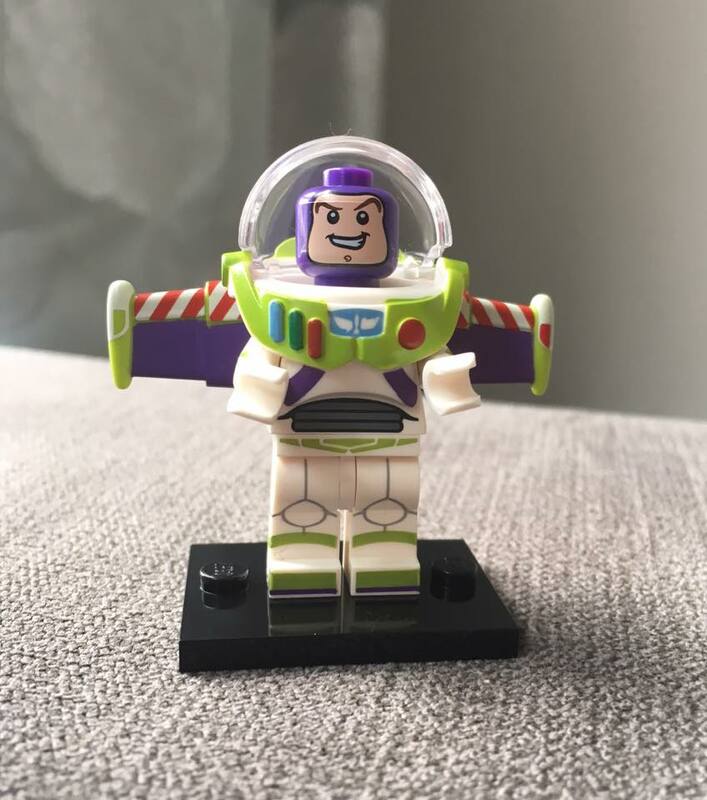 The Lego Disney collection combines two of our favourite things! Having only just arrived in the shops, we have eight so far. Thing 5 eagerly opened 3 Lego minifigure packets earlier today and we got Aladdin, Buzz Lightyear and Ursula from The Little Mermaid. 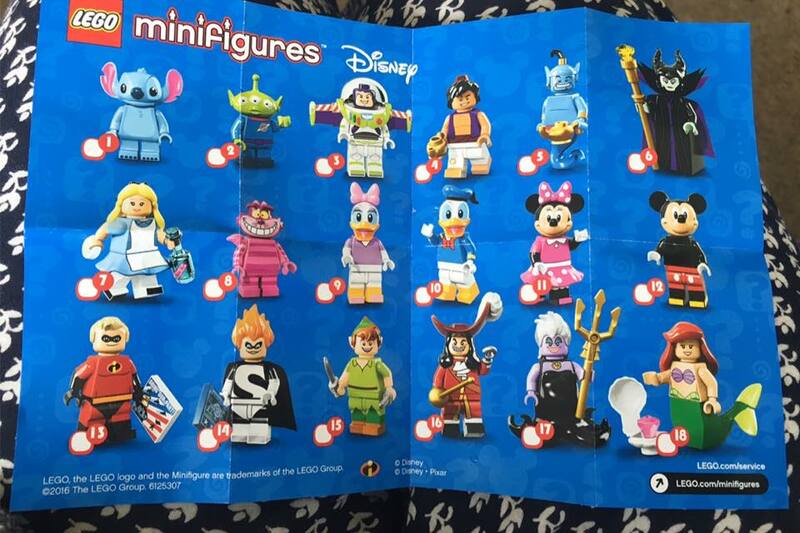 I am keen to know what other minifigures they have but the rest are for Thing 4 to open after school. He will be so pleased that I have found them in the shops already. My find in the shops today, I was tempted to buy the whole box! 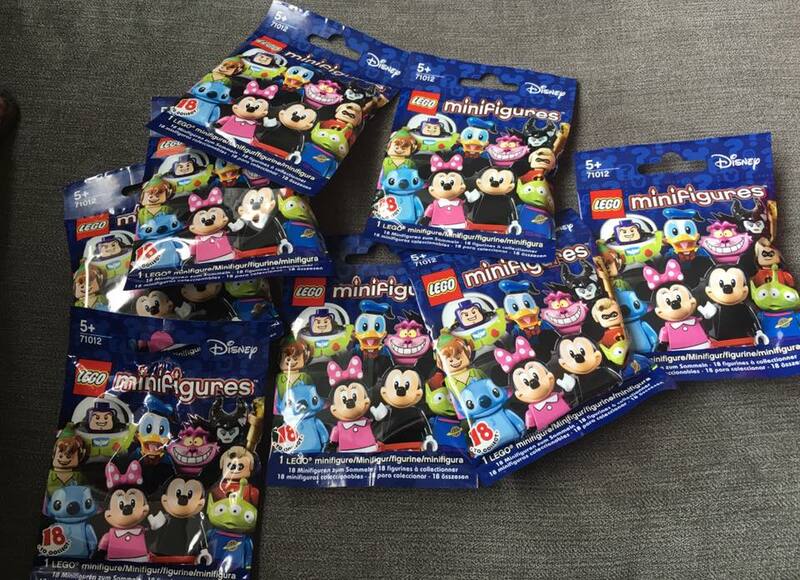 Each minifigure costs £2.50 each and are in 'blind bags' so be prepared for duplicates before you complete your set. I hope it doesn't take long for you to complete your collection. 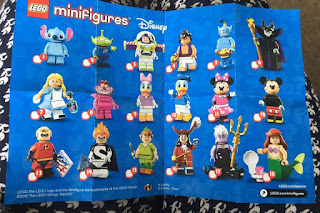 Which Lego Disney minifigure is your favourite?